... which seems to be true according to the tests here. The factory charge came out a lowly 480 mAh. Then followed a normal forming with a decent inter-cell balance according to the MAHA. 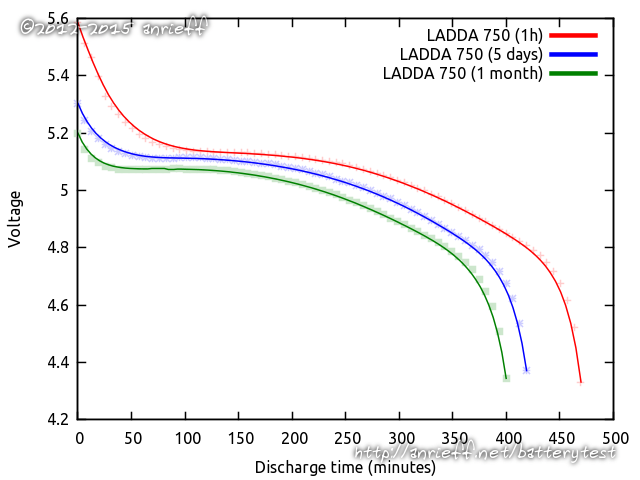 The 1-hour test was 720 mAh, falling to 665 mAh when the wait was increased to 5 days. 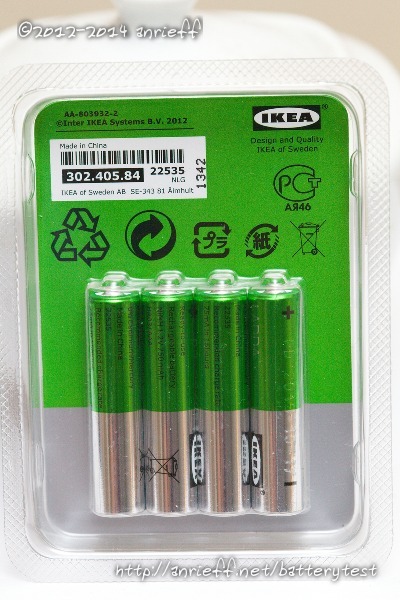 In the latter test the pack was initially 5.35V. 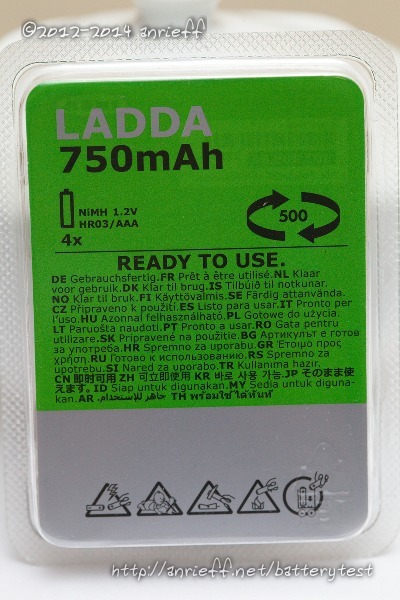 A month later, the pack has fallen to 5.23V, while the capacity was 645 mAh. An interesting observation, happened by accident: due to an error I had to do the 1-month test twice: the first one was with the wrong current (~170 mA), customary for AA, not AAA packs. It was expected that the capacity on that test were lower, but it did only slightly so, at just 5 mAh less!